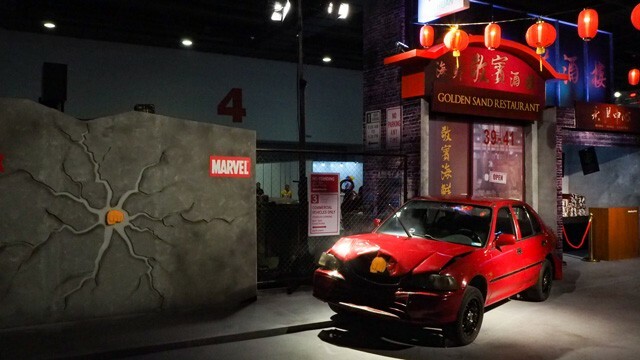 Their Asia Pop Comic Con exhibit is perfect for the ‘gram. 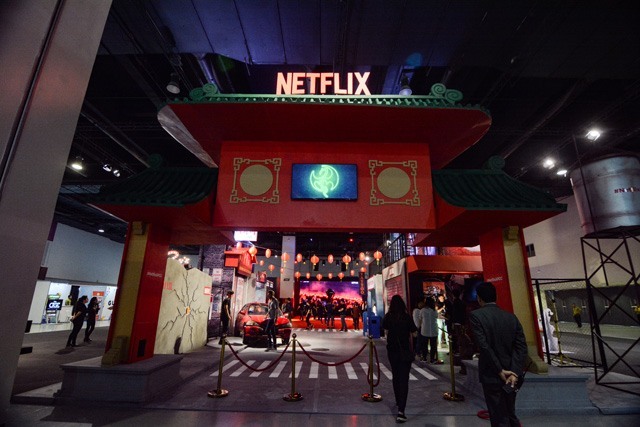 Whether you’re a comic book geek, into cartoons or anime, or not at all, the Netflix booth at Asia Pop Comic Con will definitely entertain you. Their expansive space at this year’s APCC is hard to ignore. 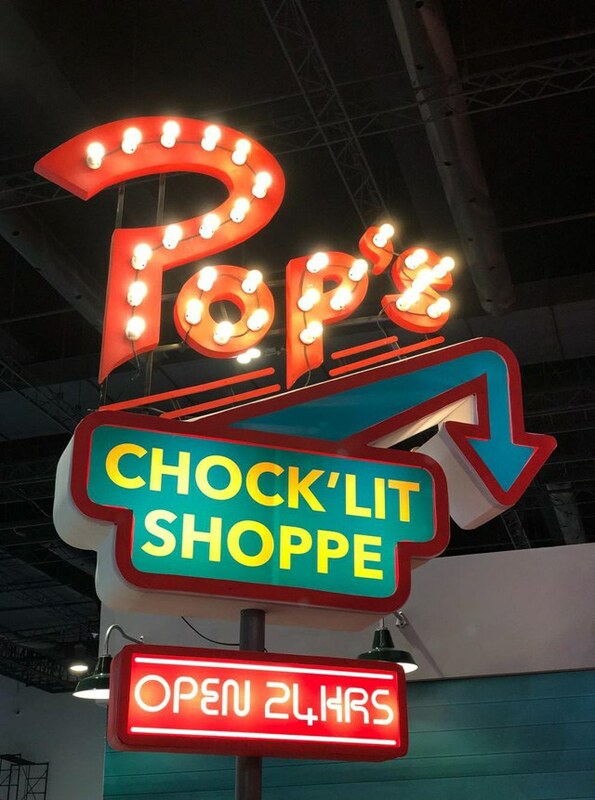 It’s probably the convention’s highlight with its larger than life themed areas featuring some of the network’s hit TV shows like Riverdale, Stranger Things, Luke Cage, and Iron Fist. There are also smaller but equally fun setups that give you a peek into their upcoming offerings like the animated series Disenchantment (from the creators of The Simpsons) and audience favorites like Sanrio’s Aggretsuko. 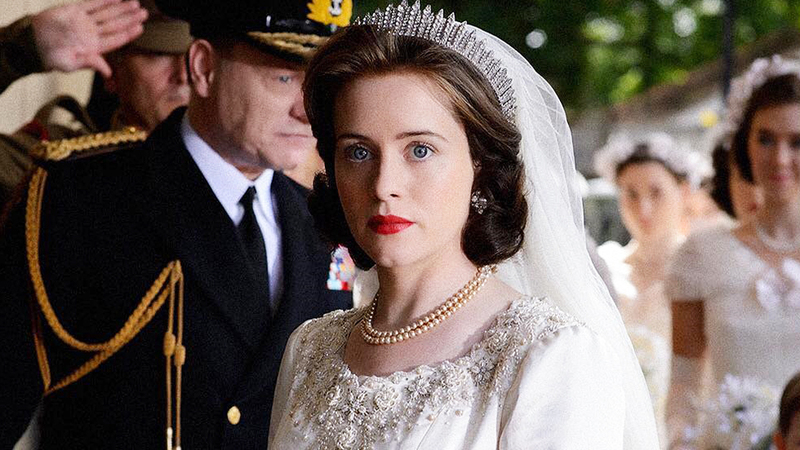 What further caught us by surprise is the attention to detail that was given to these themed spaces. 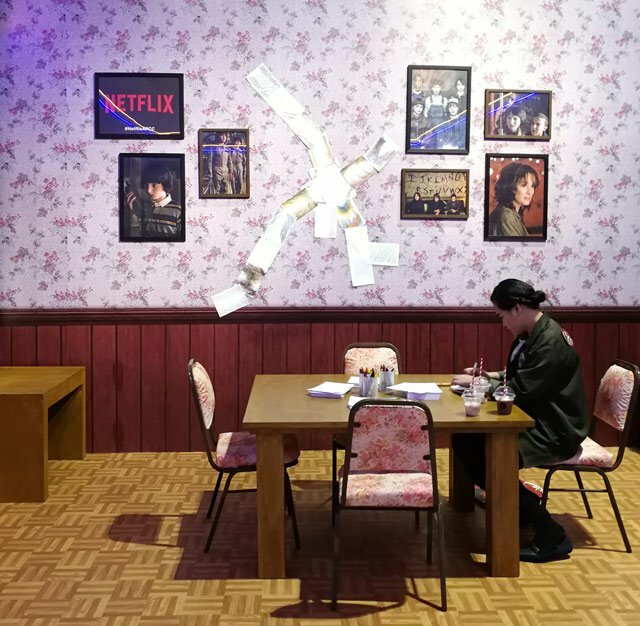 If you’re dying to fill your Instagram with creative content this weekend, here are the most double tap-worthy spots you need to visit at the Netflix Booth. 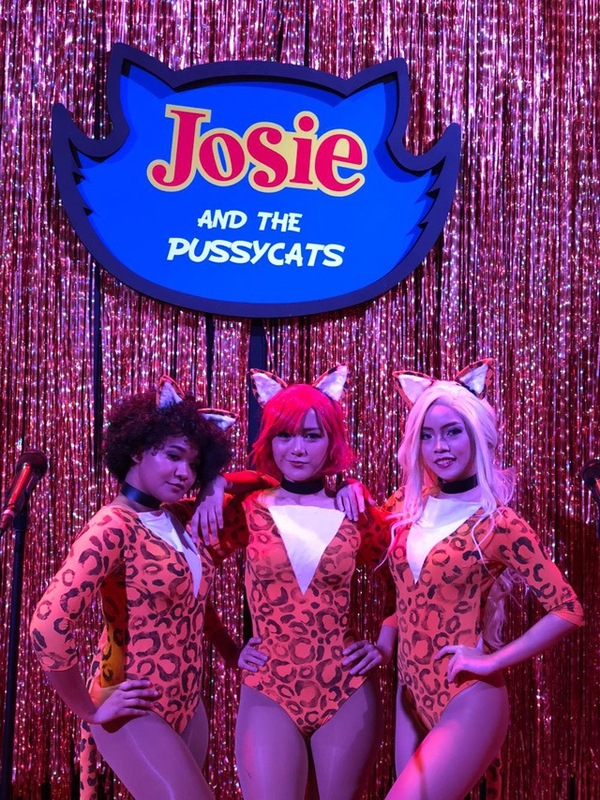 Catch Josie and the Pussycats at Pop’s Diner. 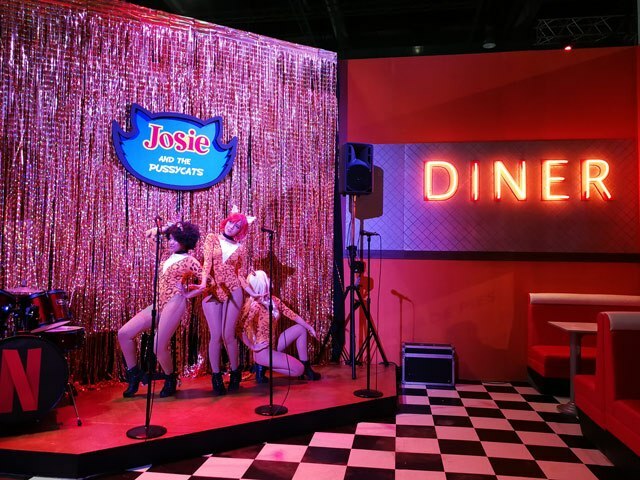 Complete with neon signs, couches, and a live performance from Josie and the Pussycat cosplayers, Pop’s Diner looks legit from the inside and out! Watch out though, the Black Hood might be lurking around! Be a jock or a rebel at the Riverdale Year Book Photobooth. 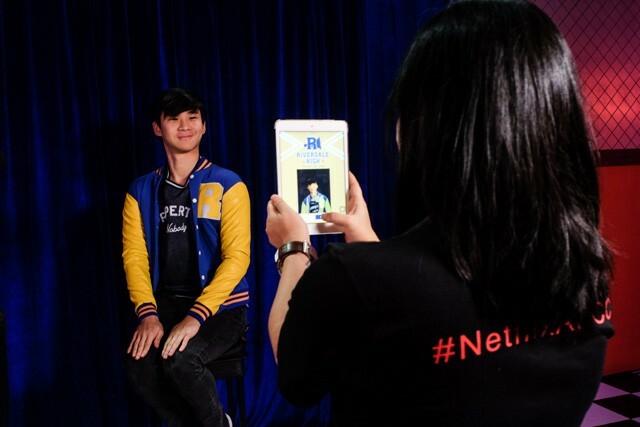 Model Richard Juan poses for his Riverdale class photo! Have your portrait taken to be part of the digital Riverdale yearbook! You can even borrow a varsity jacket to complete your look! 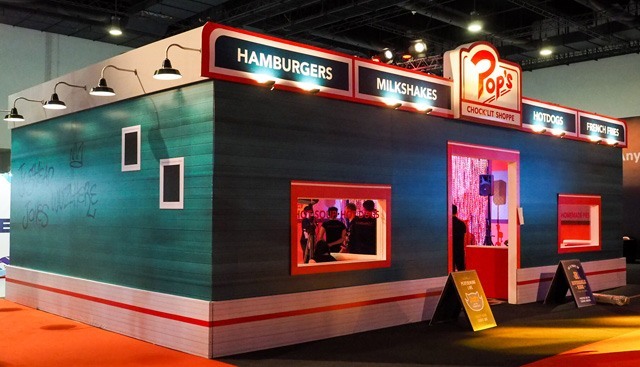 Hang out behind Pop Diner’s like the cool kids. 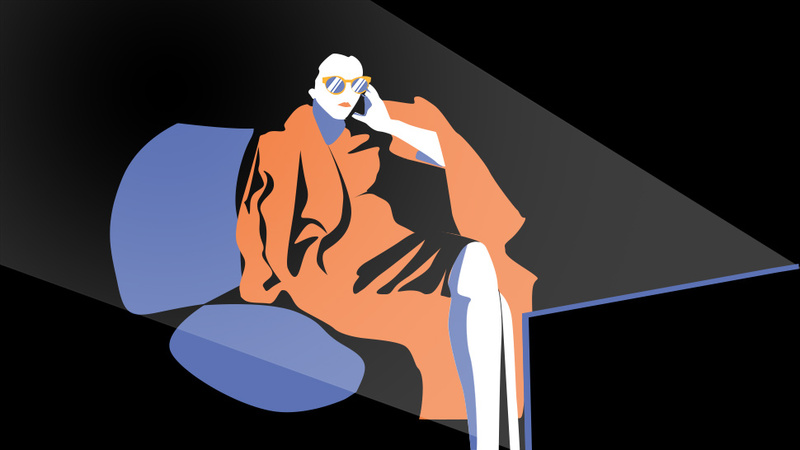 Graffiti is in, and we say take that OOTD while you can! Complete Will’s Upside Down wall collage. Play Dustin and Lucas’ favorite arcade game Dig Dug! 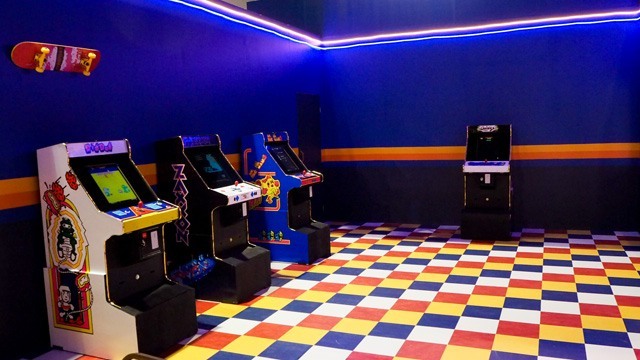 You can play these arcade games for free! And there’s no denying the hard ‘80s vibe of this part of the booth— definitely a great place to take a film-effect photo. Catch a red hot ride in China Town. A literally smoking hot red car will greet you once you enter Chinatown. There’s a temporary tattoo bar and a 270-degree camera booth, too, but the entire area has a lot of nooks you can take photos of. Since this is the Iron Fist experience, get ready for some actors dressed as men from the mafia to cause some “trouble” throughout the day. 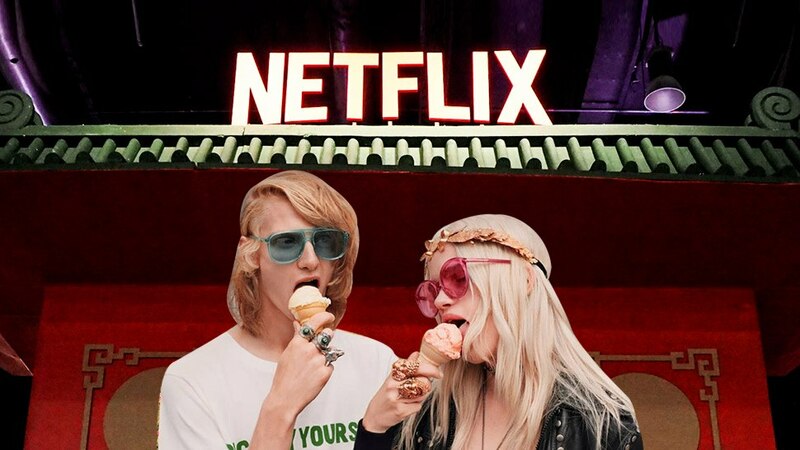 Catch the Netflix Experience Booth at Asia Pop Comic Con from July 27-29 at the SMX Convention Centre in Pasay.